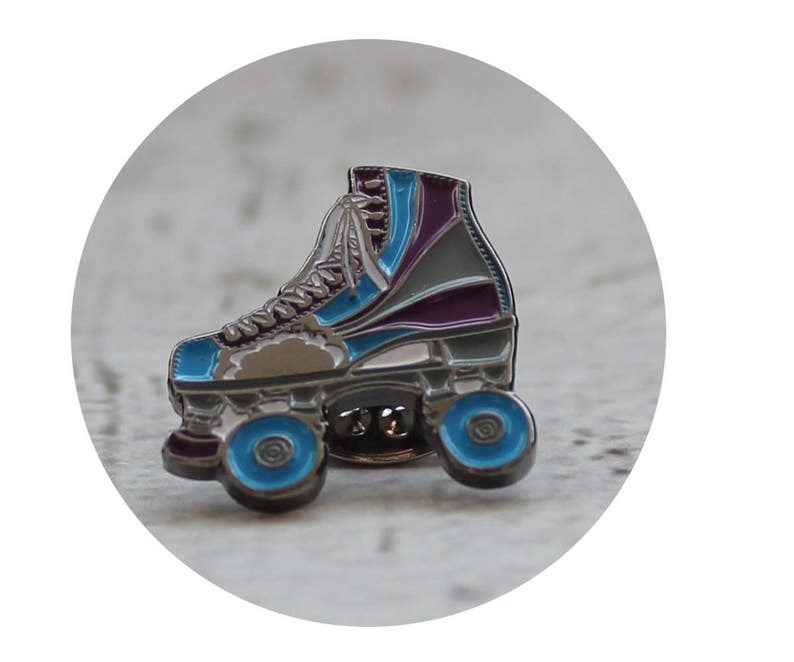 This little tiny roller skate enamel lapel pin would make a great piece of flair for the roller derby athlete or jam skater in your life. This lapel pin is .75" at the biggest part and made of soft enamel. It will come on a branded card, and ready to give. It is blue with red and white accents. Lapel pins are fun to collect, or give. Lapel pins can make a backpack, baseball hat, or jean jacket look totally rad! They make excellent stocking stuffers. This pin is TINY and cute!